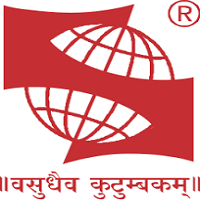 Institute: Acharya Bangalore B-School (ABBS) was established in the year 1997. 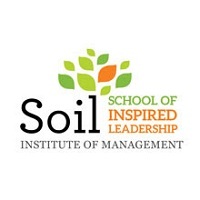 The B-School offers both MBA and PGDM programmes. ABBS is approved by AICTE and accredited by NAAC and IACBE. 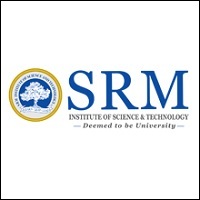 The MBA programme is conducted by Bangalore University. ABBS has announced the MBA and PGDM admissions for the academic year 2016. Eligibility: The candidates should be graduates in any discipline from a recognized university with minimum 50% marks in aggregate. Application Process: The application fee is Rs. 1000. Along with the duly filled application forms, candidates have to send the photocopies of mark sheets of Class X, XII and graduation exams (in case of candidates pursuing final year of graduation) and score cards of MBA entrance exams (as and when results are declared). The candidates can pay the application fee by issuing a Demand Draft of Rs. 1000 in favour of "ABBS, Bangalore". Selection Process: The shortlisted candidates have to appear in Aptitude Test, Group Discussion, Presentation Skills, & Personal Interview rounds. 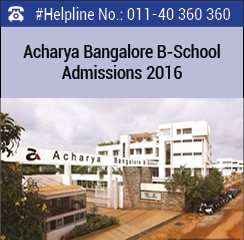 Your Acharya Bangalore B-School, Bangalore brochure has been successfully mailed to your registered email id .